« What’s the Difference Between Ferrous and Non-Ferrous Metal? We are all aware of the obvious benefits of Scrap Metal and Scrap Car Recycling can have on the environment. We’ve all heard the news and read the article about Scrap Metal Recycling saving energy and conserving natural resources etc. Similarly we’ve heard the reports that the Scrap Metal Recycling industry is worth billions of dollars worldwide. At J Davidson we are a family run business and as part of this global multi-billion dollar industry we are keen to give back to our local community. Our base in the heart of the North West means that we are surrounded by a number fantastic local sports teams and individuals, charities, schools, events and many more causes. We are proud to invest in our local community and whether that’s helping out a local sports team with a new kit or sponsoring the local community parade, we will continue to invest in improving our community. Some of the great local causes we sponsor and are involved in include Manchester Phoenix Ice Hockey Team, F1 Stock Car Racing, Altrincham Kersal RFC, Key 103 Radio Station and we are the main shirt and stadium sponsors of Altrincham FC. As Scrap Metal Recycling specialists we are distinctly aware of the part Recycling plays in the environment. We are 100% committed to reducing the countries carbon footprint through reducing the use of virgin products to manufacture all things metal. Furthermore, we are also committed to reducing our own carbon footprint which is why we specify the latest Euro 5 vehicles when purchasing new trucks used in the collection and delivery of scrap metal. If you’re interested to find our more about our work in the community or who we sponsor then visit our “In The Community” and “Sponsorship” pages. 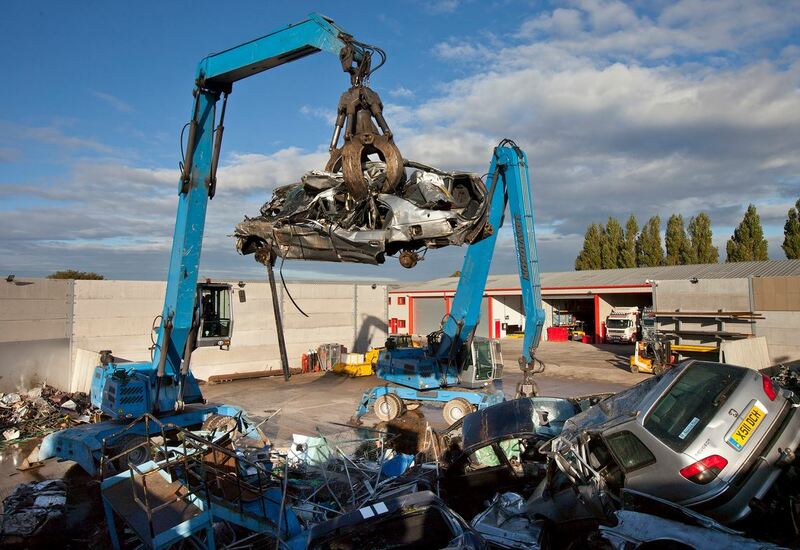 For the best Scrap Metal and Scrap Car Prices across Manchester, Cheshire and the North West visit our Scrap Metal Website for more info or call us on 0161 928 9981. Like us on Facebook and follow us on Twitter for all the latest Scrap Car and Scrap Metal news, offers, events and competitions. This article was posted in Scrap Metal, Scrap Metal Processing, Scrap Metal Processors. Bookmark the permalink. Follow comments with the RSS feed for this post.Both comments and trackbacks are closed.